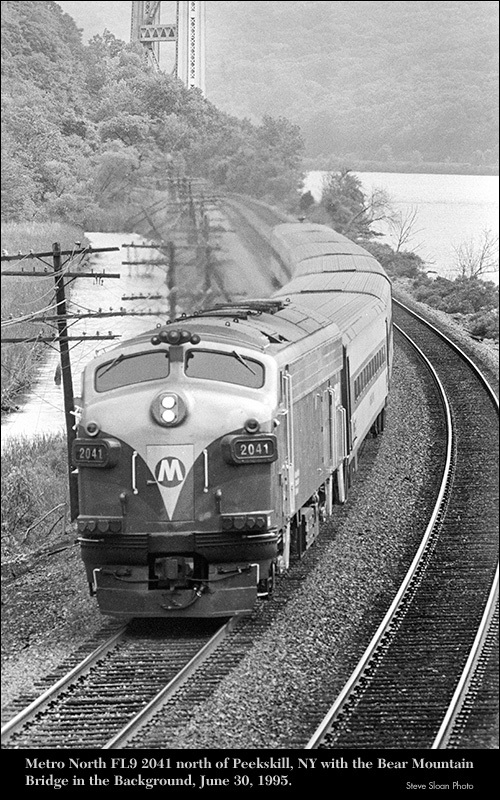 Metro North Commuter Railroad (MNCR) 2003 approaches Peekskill NY on Friday, June 30, 1995 with a commute train. The Metro-North Commuter Railroad (reporting mark MNCR), is a suburban commuter rail service that is run and managed by the Metropolitan Transportation Authority (MTA), an authority of New York State. It is the second busiest commuter railroad in the United States as measured in terms of overall monthly ridership, a position it has held since the fourth quarter of 2001. Metro–North runs service between New York City to its northern suburbs in New York and Connecticut. Reportedly MNCR 2003 is former MNCR 506, MNCR 5017, CR 5017, PC 5017, NH 2017. MNCR 2003 was an EMD FL9, built as NH 2017 in October 1957 Serial Number: 21963 Order No: 3193 Frame Number:	3193-A16. Reportedly after being retired this locomotive was scrapped. 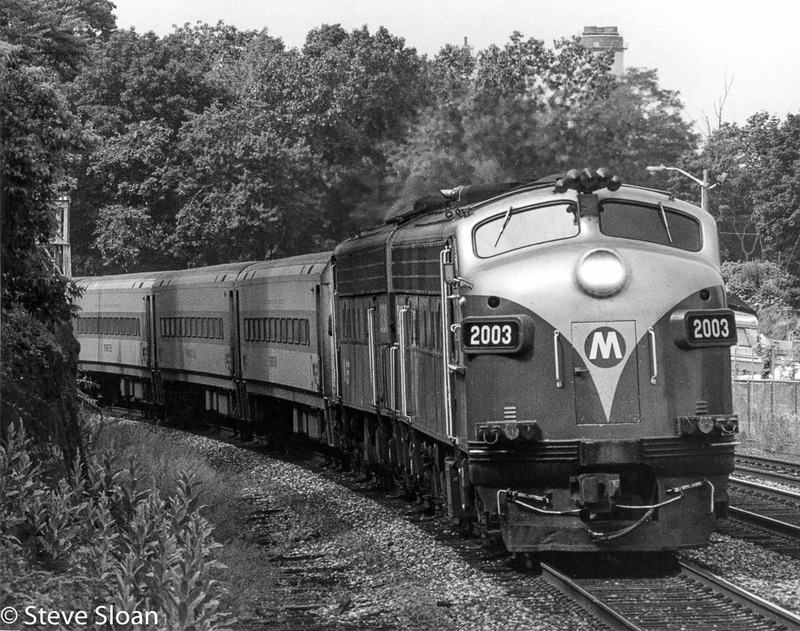 Metro North Commuter Railroad (MNCR) 2003 approaches Peekskill, NY on Friday, June 30, 1995 with a commute train. Reportedly MNCR 2022 was built in 1960 as New Haven FL9 2055, serial number 22001, order number 3198, frame number 3198-A26. It became PC 5055, CR 5055 before becoming MNCR 2022. Reportedly after being retired this locomotive was scrapped. FL9 Metro North Commuter Railway (MNCR) 2022 and FP10 413 at Peekskill, NY on the morning of Friday, June 30, 1995. 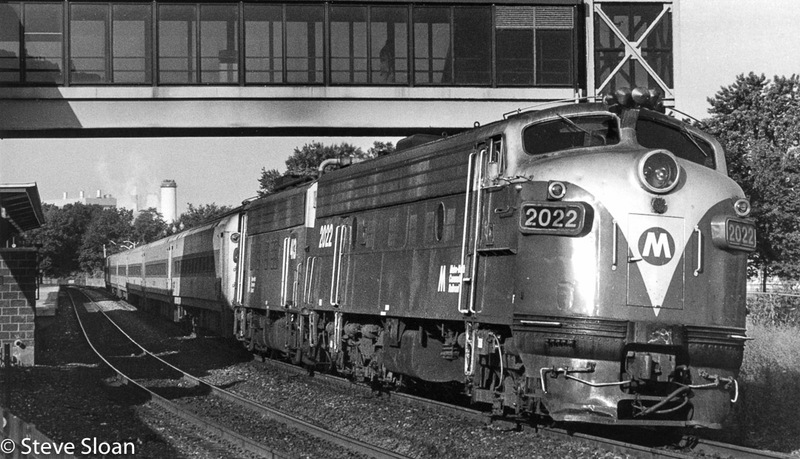 Reportedly Metro North Commuter Railway (MNCR) 2041 was built in 1957 as New Haven FL9 2023, serial number 21969, order number 3193, frame number 3193-A22. It became PC 5023, CR 5023 before becoming MNCR 2041. Reportedly after being retired this locomotive was scrapped. 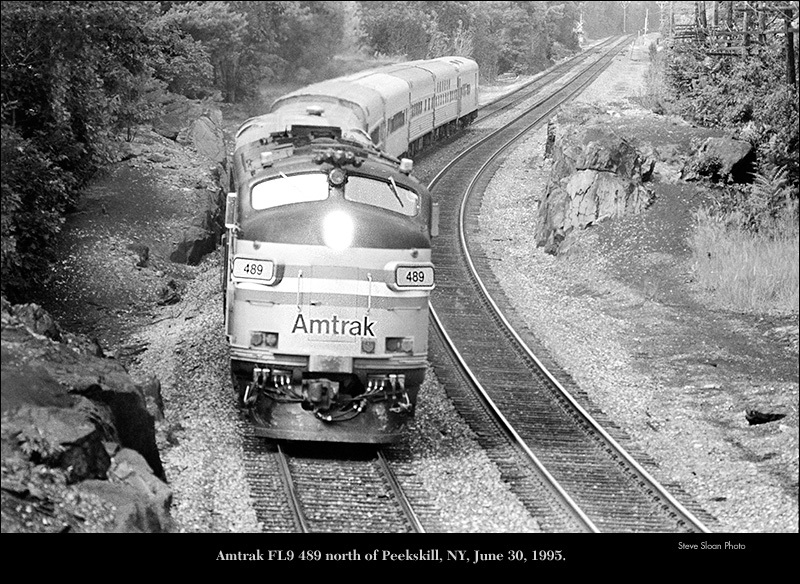 Rebuilt EMD "Starship" FL9AC MNCR 2041 is at Peekskill, NY on the morning of Friday, June 30, 1995. It's on the rear of a commuter train. 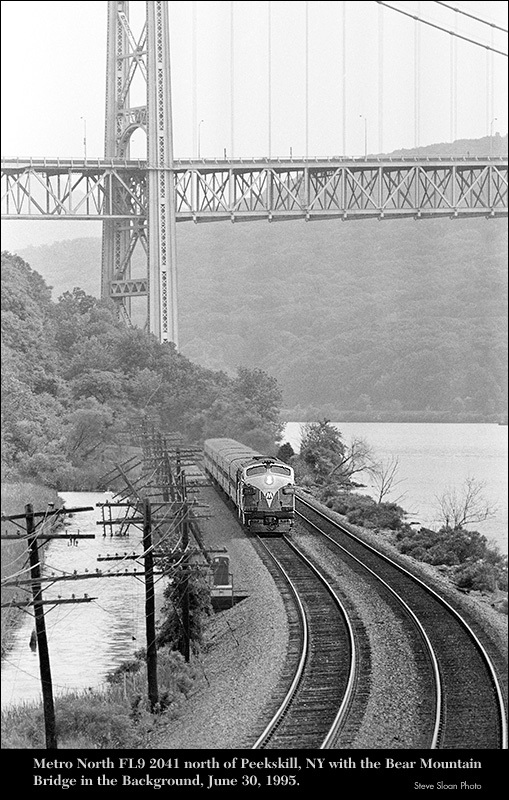 Metro-North FL9 2041 at Manitou, NY, north of Peekskill, NY with the Bear Mountain Bridge in the Background, on the afternoon of Friday June 30, 1995. TO member "swcrossbucks" said, "The first two pictures are northbound trains @ MP 45.5 or so, that have just exited the Fort Montgomery Tunnel and are approaching Manitou Rd. Manitou is still an active passenger station, low level platforms. The southbound Amtrak has just passed Manitou Rd which can be seen in the distance. This shot looks like it was taken a the same location just facing north instead of south. As a note there is now an interlocking that has been installed between the rear of the Amtrak train and the rd crossing. Hope this helps." 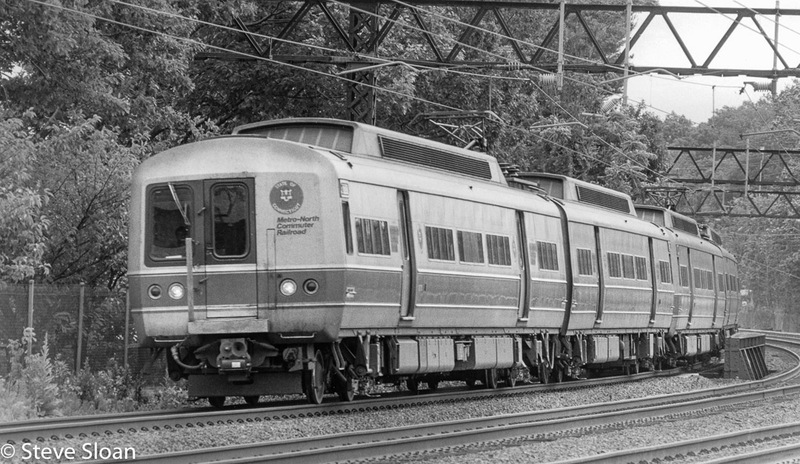 On Tuesday, June 27, 1995, a northbound Metro-North Commute train of electric multiple unit cars is at Rye, NY. 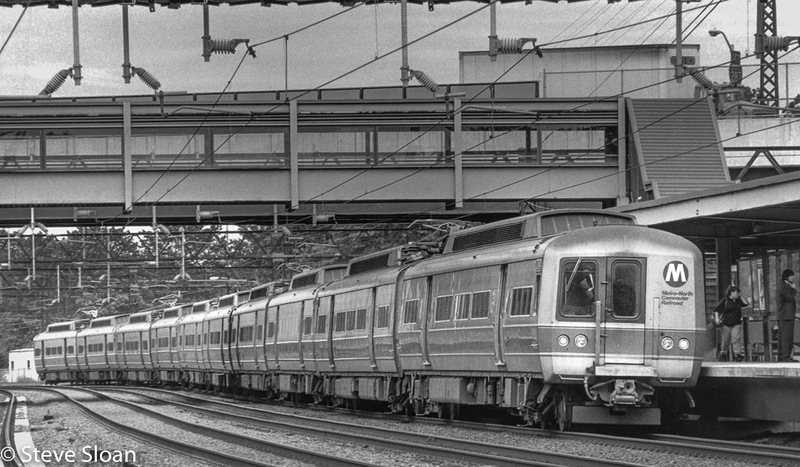 The M1 and M3 are two similar series of electric multiple unit rail cars built by the Budd Company for the Long Island Rail Road, the Metro-North Railroad and Metro-North's predecessors, Penn Central and Conrail. Originally branded by Budd as Metropolitans, the cars are more popularly known under their model names, M1 (late 1960s/early 1970s cars) and M3 (mid 1980s cars). 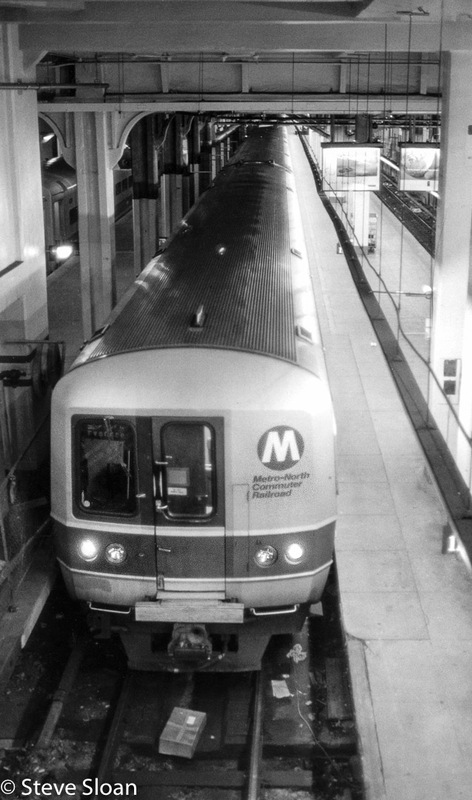 The Metro North cars were branded under the M1A and M3A series. 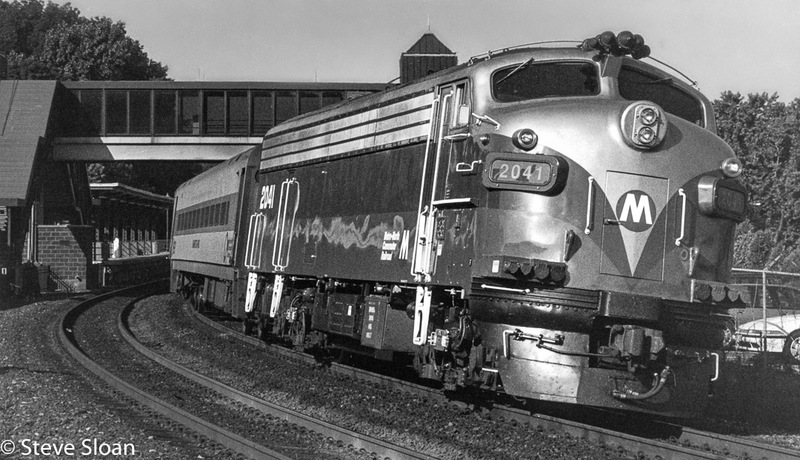 On Wednesday, June 28, 1995, a Metro-North Commuter train is in Grand Central Station in Manhattan. My notes do not include the type or number of the lead car or any indication of which line the train is off of.